Pictured above: Alexandra Tudose, SD42 manager, energy & environmental sustainability (left) and Glenwood VP Jennifer Beveridge. Before staff at Glenwood Elementary left for winter break, they made sure to switch off lights, unplug appliances and turn down the heat. In total, they turned off or shut down 285 items, which earned the school energy cost savings over the holidays. 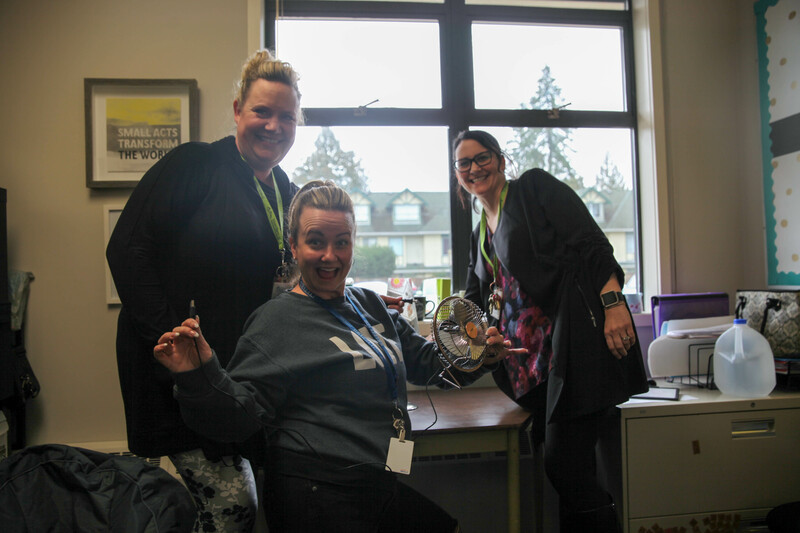 It also made the school the winner of the second annual Maple Ridge – Pitt Meadows School District No. 42 Holiday Shutdown. A total of eight schools signed up for this year’s shutdown and more than 500 pieces of equipment and lights were turned off or shutdown. From left to right: Tammy Lumbis, Jennifer Fitzpatrick and Jennifer Beveridge.